Steven Ai – President of City Mill, Ltd. His grandfather, Chung Kun Ai, was a classmate of Dr. Sun at ‘Iolani School and an early supporter and an active member of his revolutionary organizations. Rosita P. Chang, Ph.D., CFA, CFP® is Professor of Finance and co-director of the Asia Pacific Financial Markets (FIMA) Research Center at the Shidler College of Business at the University of Hawaii at Manoa. Her research has appeared in the Journal of Finance, Journal of International Business Studies, Journal of Financial Services Research, Journal of Banking and Finance, Pacific Basin Finance Journal, among others. Her current research interests include financial literacy and issues related to the financial services industry. In addition, she has conducted commissioned studies for international institutions such as the Organisation for Economic Cooperation and Development, Securities & Futures Commission of Hong Kong, and several Asian stock exchanges. Yen Chun – Experienced China business consultant. Emeritus Director of Chinese Chamber of Commerce. Trustee of the China Soong Ching Ling Foundation in Beijing and Shanghai. 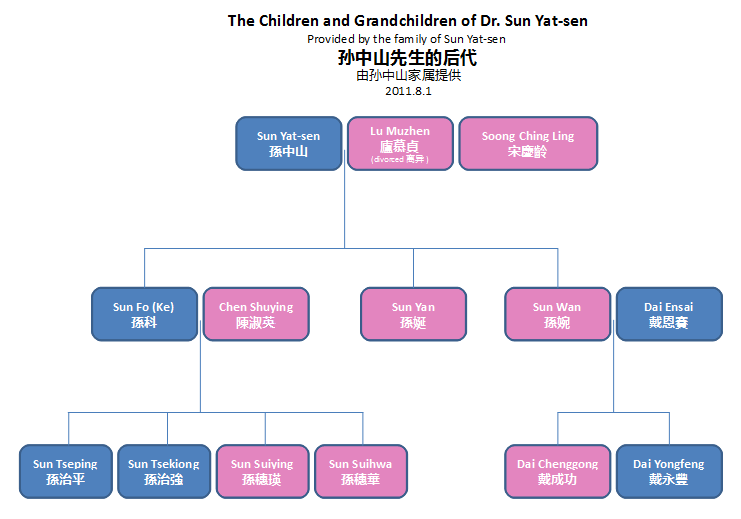 Yen is grand-niece of Dr. Sun Yat-sen and has been working closely with the Foundations in China on cultural and educational exchange projects. 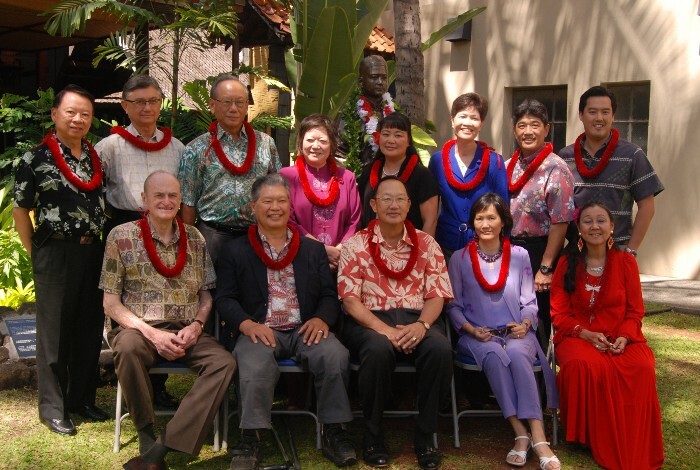 Hawaii Foundation and the Foundation for the Asia Pacific Center for Security Studies. As a Honolulu City Councilmember, he led Hawaii in establishing its first Sister Relationships with PR China and became the first Honorary Citizen of the China Hainan Province and is the first recipient of the Hawaii State Bar Association Greeley Key Award. He is descended from Naturalized Citizens of The Kingdom of Hawaii, later Americans, who helped shape the history of China and America. Warren K.K. Luke – Chairman and CEO of Hawaii National Bank, Chairman of the Pacific and Asian Affairs Council, Board of Governors of the Pacific Forum CSIS, Trustee for the Foundation for the Asia Pacific Center for Security Studies, Chairman Emeritus of the Pacific Basin Economic Council. He is a Former Director of the Federal Reserve Bank of San Francisco, a Former Director of the American Bankers Association, a Former President of the Western Independent Bankers Association and the Hawaii Bankers Association, A Former National Director of the American Red Cross and the United Way of America. He is also a Trustee of Punahou School, an Emeritus Trustee of Babson College, a Director of Harvard Business School’s Asia Pacific Advisory Board and an Emeritus Director of the Chinese Chamber of Commerce of Hawaii. Cynthia Ning – Associate director of the University of Hawai’i at Mānoa’s Center for Chinese Studies and director of its Confucius Institute. Author of ENCOUNTERS: CHINESE LANGUAGE & CULTURE, EXPLORING IN CHINESE, and COMMUNICATING IN CHINESE, all published by Yale University Press. Joanne Tachibana – Retired Asst. Supervisor, Committee Services Division for the Honolulu City Council; President for the United Nations Association (UNA-USA) Hawaii Chapter; President/Founder of Korean Culture and Drama Club; Emeritus Publications Bureau Chief & Community Relations Coordinator for SGI-USA Hawaii; Dame of Honor for the Knights of St. John. Mangmang Qiu. Esq. has 30 years’ professional experience in international exchange and programs, in law, business and education. A licensed attorney, she is currently the Senior Director for Development and Global Initiatives at the Hawaii Pacific University. Lucien P. Wong – President and owner of Lucien Wong & Associates LLC a business consulting firm specializing in real estate development. Retired executive formerly with Lend Lease an Australian global company; Castle & Cooke one of Hawaii’s largest real estate companies; Kaiser Development Company master developer of Hawaii Kai. He is one of the original founders of the Dr. Sun Yat-sen Hawaii Foundation. Currently a director of: EAH a nonprofit affordable housing developer; HomeAid Hawaii and active with ULI’s UrbanPlan program.